Flower Patch, Utah’s leading full-service florist opened for business in May of 1977, and was founded by Thomas Gregory Parrish. 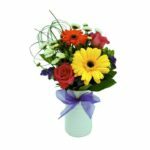 He believed that everyone should have access to beautiful, affordable flowers and felt confident that high quality flowers and plants could be provided at reasonable prices. 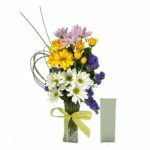 In November 2001, the company was purchased by Aspen Tree Acquisitions, a locally owned company comprised of lifelong florists dedicated to the original philosophy established by Mr. Parrish. 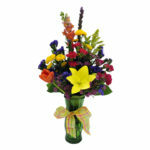 The corporate offices of Flower Patch are located @ 4370 south 300 West in Murray, UT 84107. Flower Patch includes 9 convenient retail locations across Utah including: Murray, West Valley, West Jordan, Downtown Salt Lake, Provo, Bountiful, Sugarhouse, Ogden & Central Salt Lake. 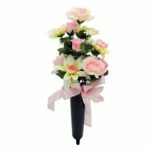 All shops provide large varieties of fresh roses, cut flowers, plants, and a full line of silk arrangements, as well as a beautiful variety of giftware. 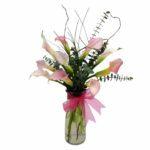 Additionally, Flower Patch owns and operates a wholesale division, Floral Design Wholesale, which provides fresh floral products and supplies to many Salt Lake area florists. “Our mission is to exceed the expectations of our customers by never allowing them to be unsatisfied.” Our employees work with diligence to ensure that our mission is accomplished with consistency and professionalism. 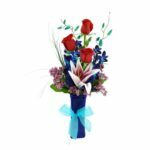 Flower Patch is proud to supply the best quality floral services to its customers and is the number one rose retailer in Utah. The company is committed to providing the finest quality service possible and moving beyond the original goals set forth by Mr. Parrish. 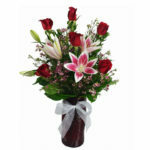 Good relations with our customers are of utmost importance to us. Our employees work efficiently to ensure that our product is offered at competitive prices and our service is performed in an effective manner, far exceeding that of our competition. Flower Patch believes that its success is the result of the efforts of all employees working together to achieve mutual goals, most importantly, meeting the needs of our customers.